I am a week late to this party, but I am not someone who usually does a lot of lists. The Famicom just had its 30 year anniversary, and there is no denying what an impact that system had on video gaming. 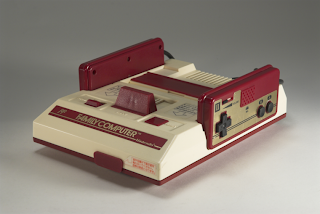 Now, in fairness, I did not play that system until a couple of years later, until the NES was introduced in America, but I did not want to wait two more years to write this set of articles. Now, a lot of sites last week did their top 5 or top 10 Famicom game lists. However, on the 30 year anniversary, it seems like 30 is a more suitable goal. Now this is simply an opinion piece. Though I played a ton of Nintendo games back then, I certainly did not play them all, and as we all know - a gamer's mileage will vary from one title to another. This is my own personal look at the titles I recall most fondly over the years. I am going to start however, with my sort of guilty-pleasure honorable mentions. These five games were ones I played quite a bit of. There are things about them I enjoyed, and found myself coming back to them. Now this is a game hardly anyone knew anything about. A buddy and I saved up some money, made our way to the store one day shortly after my birthday (hence why I had money), and we opted to buy a couple of NES games. He bought Conquest of the Crystal Palace, and I purchased Crystalis. He never really liked Crystal Palace much, but I thoroughly enjoyed both games. 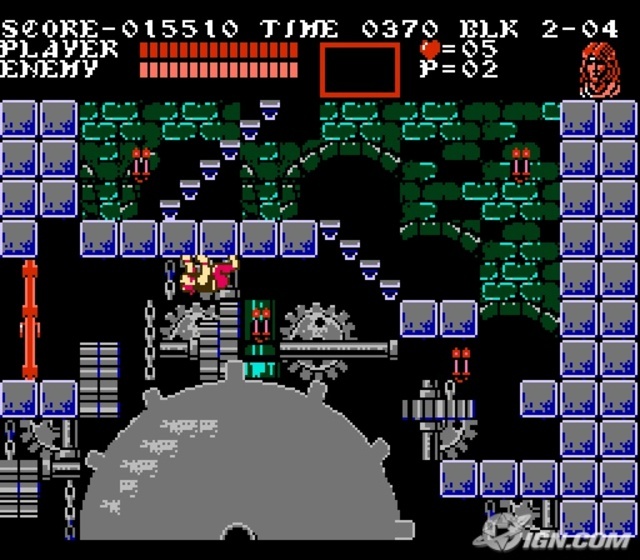 Crystal Palace gets compared at times to Ninja Gaiden, I think just as much for the creatures (birds in particular) that you fend off with a sword. The visuals have a completely different feel, but the jumping and slashing action is actually very good, though at times pretty challenging too. The main difference between this and most similar games is that you have a dog you can call with a whistle, and he bounces around the screen tearing things up. He, like you, has a limited amount of health, so he had to be called upon judiciously. I have always felt that this one was seriously under-appreciated. I know this one is much more highly rated by gamers, and I did enjoy it. The different characters and their abilities made me approach some levels in very different ways. 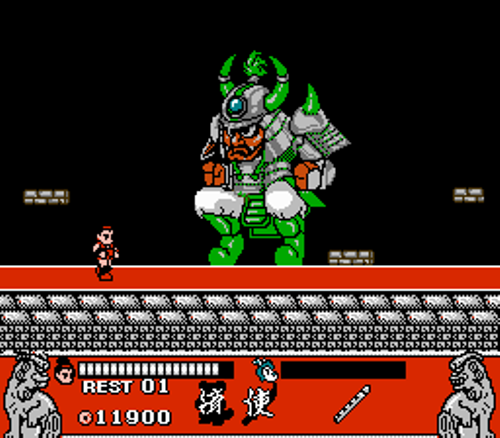 The graphics were quite good for the time, and there was plenty of platforming and combat action. Platforming titles were seldom my favorite games though, and that is probably why Castlevania III fell so far down my list. There are some platforming titles that rise above the others, but this only only did so by a fairly narrow margin. 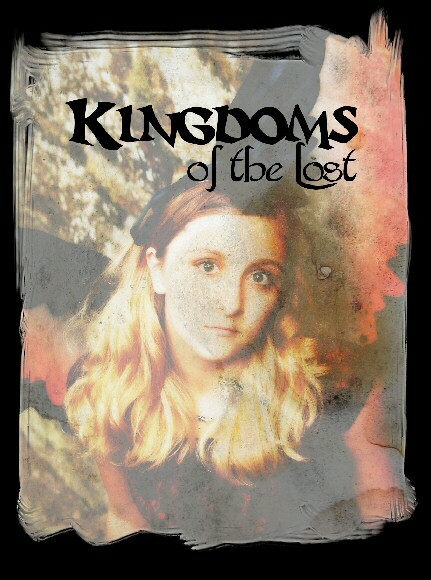 O f course, there was a lot more to it than that as you fought horrors with a combination of weapons and spells, and the gothic setting appealed to me as well. I never really got into watching wrestling, but I usually enjoyed the video games. 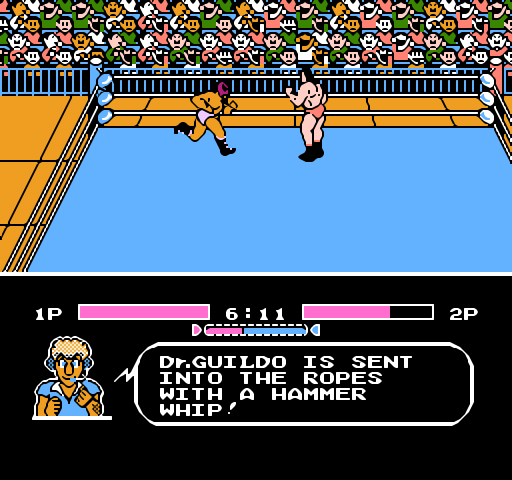 I spent a good deal of time playing Nintendo's Pro Wrestling when I first got my hands on it, but Tecmo World Wrestling offered a lo more moves and progression for characters. The chatty commentator at the bottom, plus the occasional cutscenes. All of this plus a very colorful cast of characters made this game a fun one to toss in for a few rounds at a time. I nearly had the arcade game listed here, because that one was a blast with multiplayer, but it never left quite the same impression on me as the initial one for the NES did. This game was hard - really hard. I do not believe any of my friends beat it, and it certainly took me quite a few efforts to do so as well. The Angry Video Game Nerd beat this one up for some comically obvious such as dying to seaweed or an inability to jump over a gap in the floor you were meant to walk over. 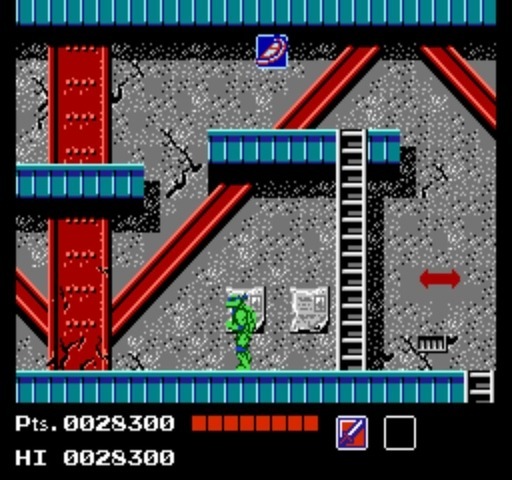 All the same, I enjoyed the Ninja Turtles myself quite a bit back then, and found myself playing this one over and over again - and picked it up and beat it more than once, so for whatever reason, this one had a lot of staying power for me. This was a weekend rental that after getting to play it, I turned around and purchased it the next week. 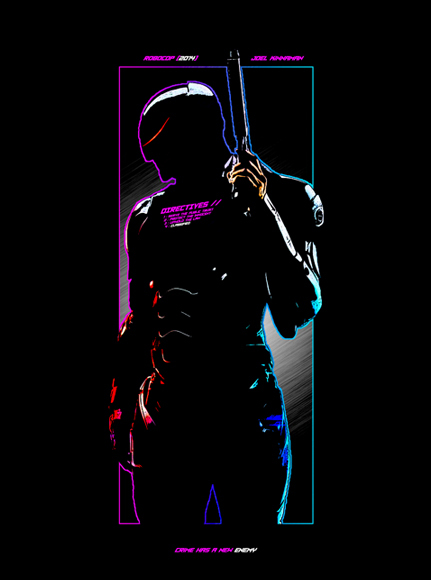 I later found out that this was based on a game called Hostages that came out on several different operating systems. The game is broken up into three parts. The first is where you have a trio of snipers to try and set up at various locations. They must avoid spotlights that will be roaming their pathways, as they roll, duck and hide in the environment to avoid detection. 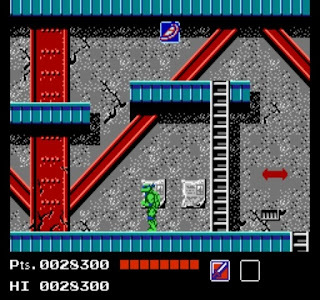 Getting them to their destinations allow you to move into the second portion of the game, where the snipers can watch windows for the shadows of the terrorists. You have a chance to thin their numbers from safety before entering the third phase of the game. 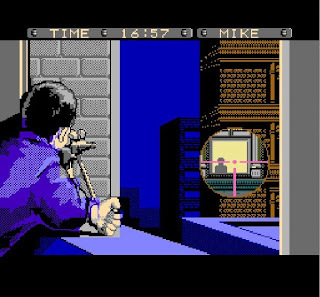 Here you use your remaining force to work your way down the side of the building, bursting in through a window where you enter an over-the-shoulder shooting game, navigating the maze-like hallways as you attempt to finish off terrorists and rescue the hostages. The sniping portion was easily my favorite, and I spent a good deal of time sweeping the windows, swapping out snipers and trying to thin the terrorist herd from a distance. Missions were generally short affairs, but I must have played hundreds of them. Did you ever play any of these games? If so hate them, love them - or generally did not know they were out there? I think I might have played Teenage Mutant Ninja Turtles, but not positive. 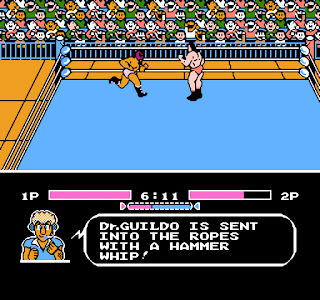 Tecmo World Wrestling also looks familiar, but not sure on that one either. TMNT was one I got as a present for my birthday if I recall correctly. I didn't own Tecmo World Wrestling, but one of my best friends in high school was a huge fan of pro wrestling in general, so he owned most of the wrestling games. I would borrow this and Punch-Out!! from him somewhat regularly. Definitely pulled all-nighters with TMNT, but have not played the others. However the framing of that 'Rescue the Embassy Mission' screenshot gives me flashbacks to Golgo 13. You know, a buddy at work who saw my post about Rescue brought up Gologo 13 as well. I think the sniping parts of Gologo were my favorite - and probably the most memorable for people back then. Never quite knew how I felt about Gologo 13 - it seemed like a game with an identity crisis - it tried to do so many things, but it only seemed to do them okay at best.